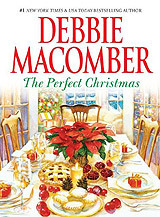 Book review: "The Perfect Christmas"
This review first appeared in Turbula in November 2009. Unless you're the type who's blind to flashing traffic lights or emergency vehicles, the conclusion to Debbie Macomber's latest romantic tale will be evident from the second or third chapter. There are no surprises here, little in the way of character development, almost zero plot and all her characters speak in the same voice. And yet Macomber is a best-selling author over and again  and not because this novel is an aberration. No, Macomber is popular for the very qualities that drive serious literary types crazy: the happy ending is foretold from the first pages, the settings are ordinary workaday life and her legions of readers recognize themselves in the working- and middle-class characters that populate her books. In Macomber's latest book, thirty-something Cassie longs for marriage and children more than anything  but has struck out at finding a suitable husband in all the usual avenues. With the holidays approaching, she's sure she'll never have the kind of picture-perfect Christmas her friends have  with the family portrait to send out with Christmas cards. So on a recommendation, she hires a professional matchmaker to find her a perfect mate. One who offers a money-back guarantee. One with a very mysterious background and aloof manner and ... well, you get the idea. Good people to whom good things eventually happen may not make for great art, but it's the sort of tale that makes for a passable couple of evenings curled up on the couch.